In this article I will guide you through the steps to install phpMyAdmin. PHPMyAdmin is a free and open source tool written in PHP intended to handle the administration of MySQL with the use of a web browser. It can perform various tasks such as creating, modifying or deleting databases,tables, fields or rows; executing SQL statements; or managing users and permissions in a GUI based environment. A CentOS/RHEL machine connected to the internet with EPEL repository installed. Please follow this The Geek-KB tutorial of how to install EPEL repository. In this tutorial you will also find some information about the importance of installing the EPEL repository, installation and configuration. 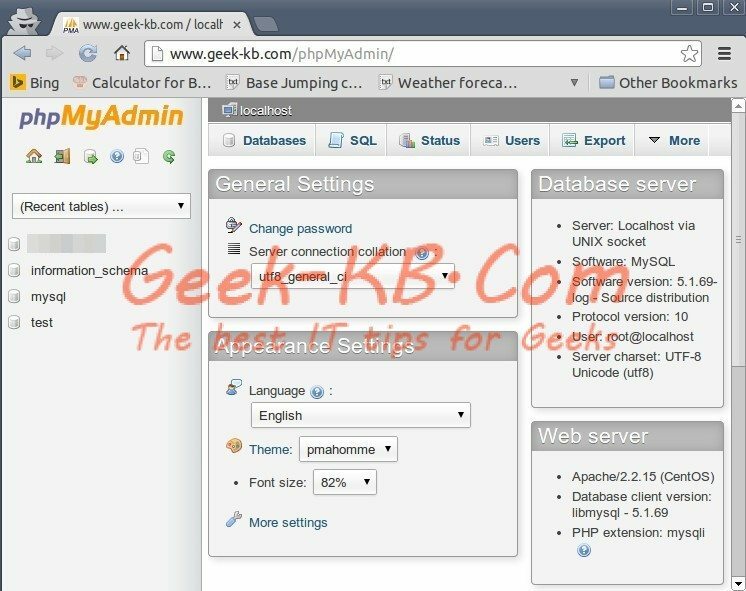 by default, php MyAdmin allows you to access it from the server’s localhost only.